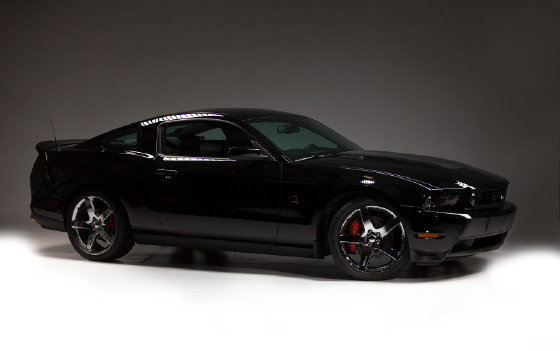 I'm interested in the 2010 Ford Mustang Roush you have listed on ExoticCarList.com for $42,000. I would like to know more about this vehicle. #01 of 58 – Jack Roush 2010 Mustang. She is gorgeous! 540 hp, low mileage, black/black . . . No. 01 of 210 made that year! R2300 ROUSH charger 4.6L Powertrain System - Produces 540 hp / 510 lb-ft. Components include TVS Technology ROUSH charger, forged aluminum pistons (lowering the compression ratio from 9.8 to 8.6), forged steel H-Beam connecting rods and a forged steel crankshaft, Intake manifolds, intercooler and radiator, cold air induction system, Aluminum flywheel, Upgraded clutch, Unique fuel rails, high flow fuel injectors and fuel pump, along with a custom tune of the ECM to handle the performance. Dual 66 mm electric throttle body, front and rear springs, front and rear stabilizer bars and bounce bumper, Anti-wheel hop kit.